James Fallows, national correspondent for The Atlantic magazine, will preview new GIS-based reporting project at the Esri UC. 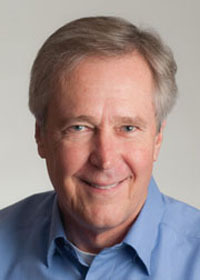 Redlands, California—James Fallows, national correspondent for The Atlantic, will join the Esri International User Conference (Esri UC) in San Diego, California, on July 8, 2013 to preview a new reporting project—debuting later this summer—that will feature Esri’s mapping technology. Speaking before an expected audience of 14,000, Fallows’ talk will explore how mapping technologies can add a powerful visual and explanatory element to journalists’ storytelling efforts, helping them engage audiences in new and compelling ways. Spanning The Atlantic’s platforms in print and online, as well as via radio reports, this new project was envisioned to use maps and interactive geospatial content in a unique and unprecedented attempt to tell business, cultural, and political stories. Fallows and his wife, the linguist and author Deborah Fallows, will be traveling across the country via their small propeller-driven airplane, staying in and reporting on smaller towns and cities where important economic, technological, cultural, and social changes are underway. By adapting the long-standing American tradition of discovering the country through an extended coast-to-coast journey, they will portray people, communities, companies and organizations, and trends that are often shortchanged in mainstream news coverage. Fallows has written for The Atlantic since 1979. He has reported extensively from outside the United States and once worked as President Jimmy Carter's chief speechwriter. He has written 10 books—most recently China Airborne, described by one reviewer as “one of the best books about China (ever)” – and has won the National Magazine Award, the American Book Award for nonfiction, and a New York Emmy Award for the documentary series Doing Business in China. Deborah Fallows has worked in search-engine technology and in university admissions, and is the author of the highly acclaimed book Dreaming in Chinese. For more information, visit esri.com/uc.